An interior designer can work wonders! 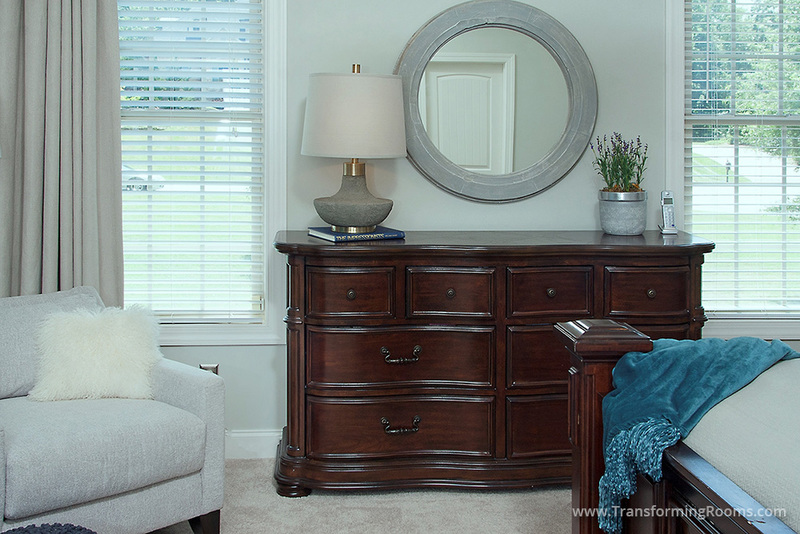 Take this Winston Salem, NC bedroom, with a "matching bedroom set". 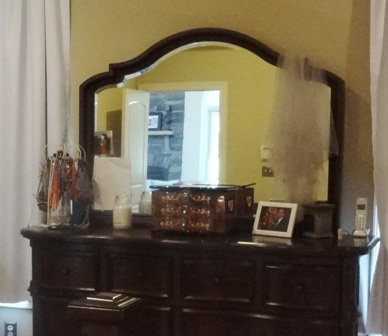 We did not start from scratch with all new furniture, We solved the dated look with a new mirror, lamp and gray wall color. Custom window treatments make the room cozy, with the option of room darkening, which improves Melatonin for better sleep quality. Our client's were thrilled with our on site viewing service, to view options for accessories, lamps, drapes, and lounge chairs.